Let’s face it: it’s competitive out there in the content marketing crowd. You need a strong content strategy to help you stand out. 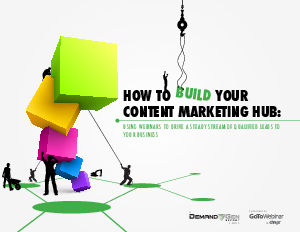 Building a plan that places webinars at the hub of your marketing is the most sensible approach to spurring growth both now and in the future. This DemandGen report explores how you can leverage webinars to generate a large and loyal following.